Welcome to Week 43, Year 6 of Paint Party Friday! We hope you have been enjoying a magical holiday season so far! This Week, the random.org number chose #37: SandeeNC. 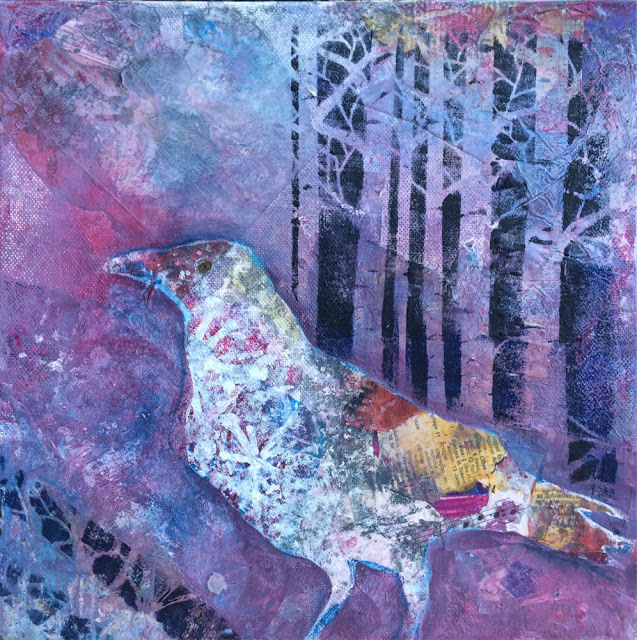 Last week Sandee shared a wonderful round-up of magnificent moon inspired artwork that she created this past year. She has big plans for 2017 and is inviting other moon loving artists to join in, so please be sure to check out her blog for all of the details! Wishing you a happy, healthy, and VERY creative new year!! Welcome to Week 42, Year 6 of Paint Party Friday! This week, the random.org number generator chose #43: Tammie Dickerson. 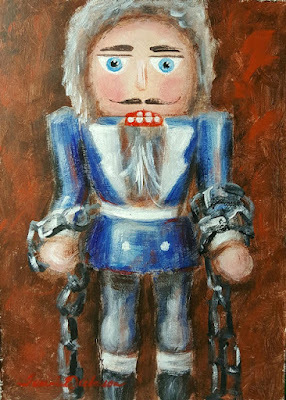 Last week Tammie shared a wonderfully festive nutcracker painting. Not only was Tammie's painting perfect for the season (that random number generator continues to amaze us at times...), but it is also her 1435th painting in 1435 days!!! Wow! We find that very inspiring! Merry Christmas! Happy Hanukkah! Heri za Kwanzaa! Whatever you celebrate, we would like to wish you a very happy one! Hope the warmth of the holidays brings also brings time for creativity and inspiration! Welcome to Week 41 of Year 6 here at Paint Party Friday! Random.org this week chose #24 - Sarah of Angelic Morning Pages. Sarah talks about the importance of experimentation in the/her creative process and shows a video of creating this lovely angel. Hope you have a wonderful week full of creative experiments! Welcome to Week 40, Year 6 of Paint Party Friday! This week, the random.org number generator chose #10: Gloria J Zucaro. Last week Gloria shared a wonderful variety of beautiful paintings that she created at a workshop she attended. Please be sure to stop by her blog to see them all! Wishing you a week of wonder, variety, and prolific painting! Welcome to Week 39 of Year 6 here at Paint Party Friday! Hope your dreams inspire you this week!